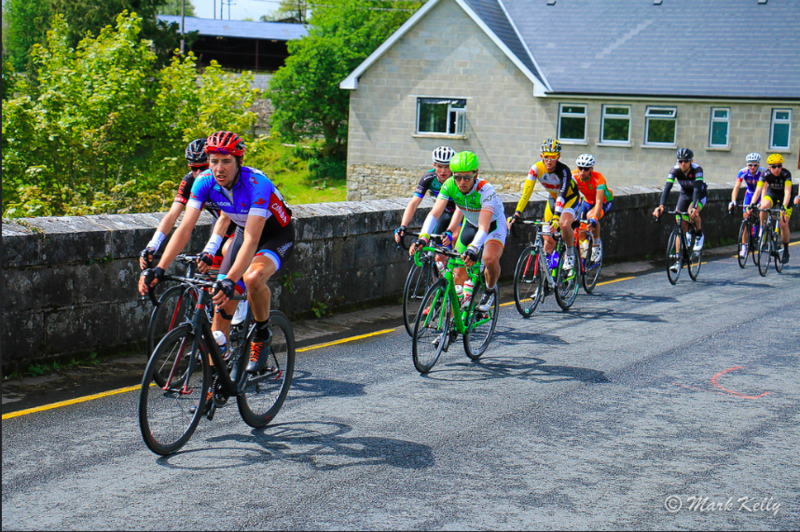 An Post Ras is Ireland’s biggest cycling event. It is an 8 day stage race that covers over 1,200 km across the country. This is the second year I have had the privilege to race the Ras and, once again, I am left counting down the days until next year’s event. 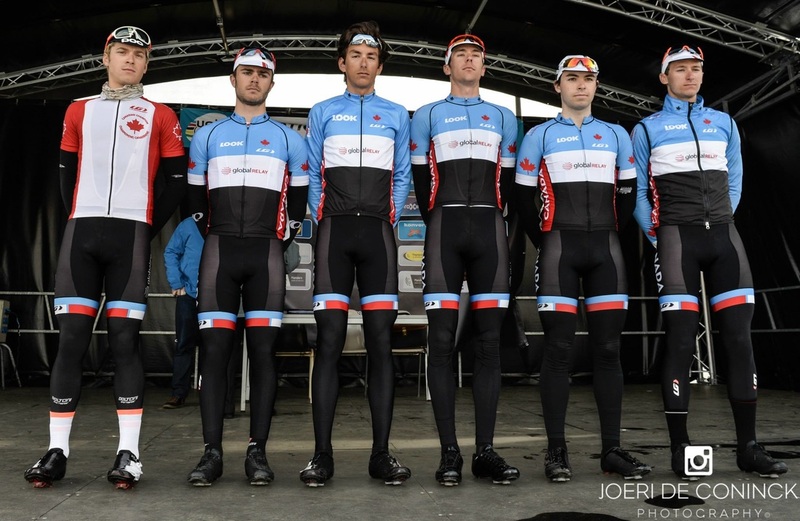 This year I was joined by four other Next Gen U23 teammates. We entered the race with high hopes (last year the team managed to have Nic Hamilton finish 3rd in the GC). Lining up as the youngest team in the race we knew it would be hard to repeat such a result, but were confident we would all learn a crazy amount over the 8 days. 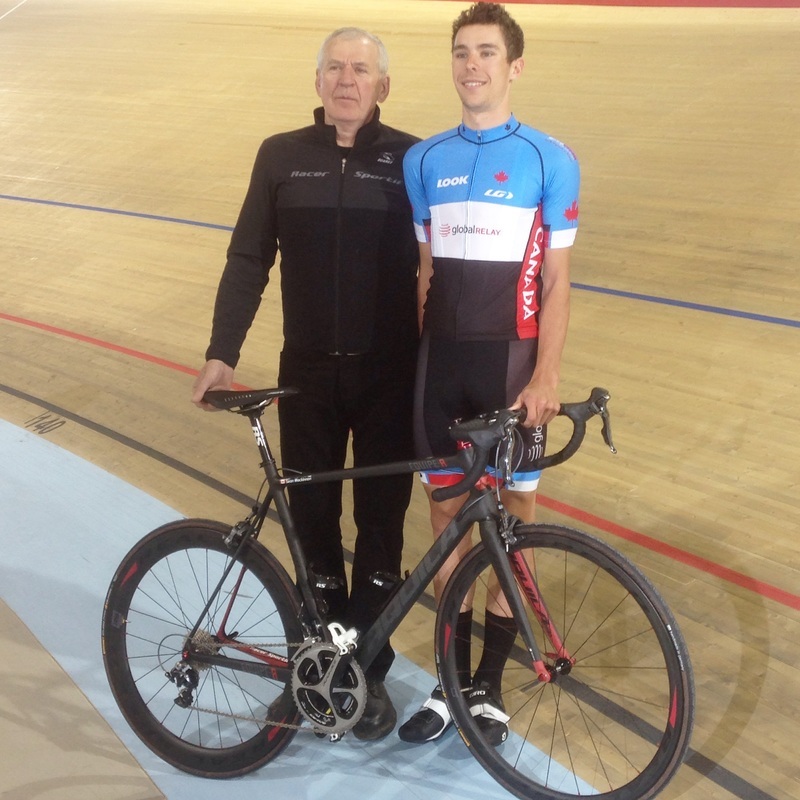 I went into the race hoping for a strong ride in the youth classification. The Ras is not only long (8 days), but it offers both competitive and extremely high-level racing. This year we lined up with numerous ex-world tour level racers, who arrived at this UCI 2.2 event with a both a ton of experience and a lot of strength. Experience was one thing that we Canadians lacked as this was our first full Spring European racing campaign. Overall the race was fairly successful as we finished with three top 10’s, along with impressive rides by all of the team on many of the days. Some of the races highlights included my 9th place from the breakaway on the decisive queen stage, and Alec Cowan’s impressive sprints, which landed him 9th and a 7th places finishes. The 6th stage of the race was a huge relief for me. After having endured five tough days that included mechanical issues (I had to switch bikes on Wednesday), crashes (Tuesday) and missing some very important splits, I was finally able to turn my luck around by driving the early break to the line. 13 of us held off the peloton over 3 categorized climbs and a fast run into the finish. After making it over the final climb with the leaders, things got a little tactical with 20 km to go. Attacks forced each of us to gamble on whether to chase or wait for another rider to give into the pressure of letting someone up the road. Eventually all but three of us lost when we gambled on a group of three slipping away and none of us worked together to chase it down. With around 5 km to go the gap was 10 seconds, but with everyone hesitating to close the gap and “shoot their last bullets” we came to the line in a sprint. I tried for a late bridge with 1km to go, but was swept up when the remainder of the group started the sprint with 250 meters to go. I ended up 9th on the day. The final two days hurt a little bit as I recovered from a 160 km day of “full gas” racing, on top of the five days before that. I was happy to sit in the peloton and just survive. After a solid two month block with 20 racing days, I was not only looking forward to finishing up the last race, but also to getting home. After getting home and being back here in Canada for just over 24 hours I am just beginning to decompress and look back on what was the longest, but shortest, two months of my life. I am looking forward to a few days off the bike, then the buildup for the Pan Am Games in July – the team will be announced on June 1st. With the spring part of my yearlong season complete I am pleased to check it off and reflect on the past few months. They sure have been crazy! Cote Picardi, ZLM, a kermis and I'm in Men's Fashion Magazine! Thanks Montie for going out and buying it! The last 8 days have been crazy. 3 Nations Cups and a kermis have meant that I am coming off of 5 race days (6 races) in 3 different countries. This European spring project is starting to get busy! I am currently in Alkmaar, Netherlands for a track camp and a bit of a debrief as I can just finally start to look back on the racing done the past week. With so many positives coming out of the racing there is always things I can take into consideration to work on for racing to come. Not to much to say about this race other than it was crazy! After Saturday’s race on the Belgian cobbles in Flanders it was a nice change to see only asphalt for 180km! The ride to the finishing circuit (which we did twice) was a hectic one; I crashed twice but ended up on my feet without a scratch both times. The team rode super well and we entered the circuits with all 6 of us in the still very big peloton. The front group went on the second lap and myself and teammate Ben Perry found ourselves among the front 45 riders. Coming into the final km things were looking good, Ben was in a great position to get ready to take on the best in the bunch kick as I hung on for dear life very far from the front of the group. Unfortunately with around 200m to go there was a crash on the right (where Ben was) and I rolled in for 38th. I was a bit frustrated with where I finished in the front group but I was pleased just to be there. This race was absolutely nuts, a two day 3 stage race with two road races and a Team Time Trial. Stage one, wind. Team Time Trial, wind. Stage 2, wind. We were warned about racing in Holland and how if you are caught in the wrong position when you hit a crosswind section your day is over. This was very true and I spent the weekend living this. Sometimes I would get caught out and our group would make it back to the front and other times we did not come close. The final stage I got caught out on a bridge when the race was guttered (teams ride at the front on the very edge of the road so that no riders can get a draft from the crosswind) and after 100km my race was over. I got to the feed zone and it was into the car for me. Although I was disappointed in not finishing I gave it my all and will be back at that race with a vengeance. After a bit of a shorter day than planned on Saturday during the final stage of ZLM I decided I would go and try to have some fun at a local race in Belgium. I am not sure if I was having much fun during the race but it was nice to race my bike as opposed to just suffering all day as I had at the ZLM tour in the wind. I was active for the first hour floating in and out of the many early breaks that go before the winning one finally sticks. After over an hour of following failed moves I gave up and moved back a few positions as I was thinking the race deciding move would not go for a while. I was wrong, and paid for it the rest of the day as I spent the remainder of the race chasing after the winning break. I rolled in 11th with one other behind the break but ahead of the peloton. It was a nice little reminder of why I race my bike after a frustrating weekend at ZLM. Earlier this week a copy of Men’s Fashion Magazine arrived at my house and I am in it! 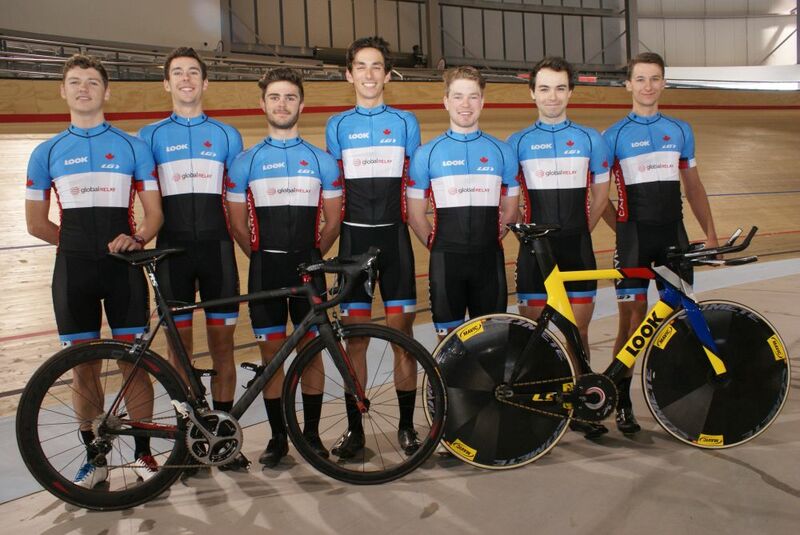 A month and a bit ago I did a photo shoot with them at the Velodrome for their spring issue! I am not sure if I would recommend trying to ride on the velodrome in the clothes I did but it was pretty fun! Other than that I am just getting over being sick (why it has taken so long to post this) and am hopefully going to be back training tomorrow. On Saturday I took the start for one of the biggest road races of my life, the U23 Tour of Flanders. For those who don’t know what kind of race the Tour of Flanders is, it is one of the biggest one-day classics on the pro cycling calendar. Filled with short steep climbs and cobbled sections, there is little forgiveness throughout the course. For the U23 race, which the NextGen U23 team raced this past Saturday, it was no different as we lined up among 28 other nations. After hearing that we would be racing this nations cup, the excitement on all the Next Gen team members faces was clear: this is a race that many of us have dreamed about racing. Getting to do the U23 version is the first step to fulfilling this dream. 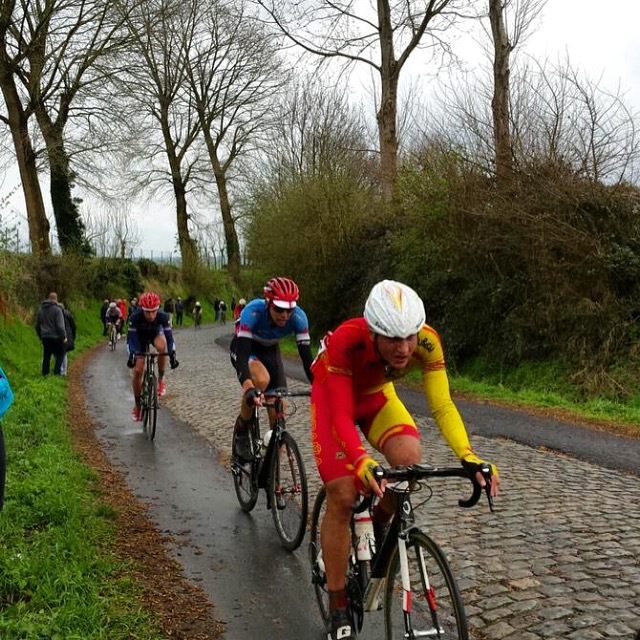 It did not disappoint, Ronde Van Vlaanderen was an amazing experience! The 177 km course that 170 of the world’s best young riders took on was unforgiving. With 14 bergs (climbs) to get over and 6 pave (cobble) sections, it was a long day on the bike. Feeling good for most of the day I stayed out of the wind (for the most part) and a little to far away from the action at the front of the bunch. The race finished with two circuits that had the majority of the climbing and cobbled sections on it. This was where the peloton was racing to, and we were racing hard. As we were racing the last few kilometers into the circuits it began to rain. The rain was not good… Racing in most places in the rain is not a problem; you take the corners slower, think about your line and give the rider in front of you just that little bit of extra space on the descents. We didn’t do any of that AND we had to race on the cobbles. After getting away with poor positioning I entered the first long pave section in an ok position, only to go backwards on the wet cobbles that made the first big selection. Basically one third of those still in the race crashed and I was caught out behind as the leading group pulled away. It was not very comfortable as I flew in between what seemed like a never-ending string of crashes. Staying upright, I rolled in with one of the many groups that were scattered throughout the finishing circuit. 65th - not at all what I was hoping for, but thankful to stay upright, coming across the line safe, but exhausted. Up next is La Cote Picardi Nations Cup in France this Wednesday, then the ZLM nations cup Friday. As we head into a big week full of racing we are all feeling excited and very motivated to step up in the next races to come!